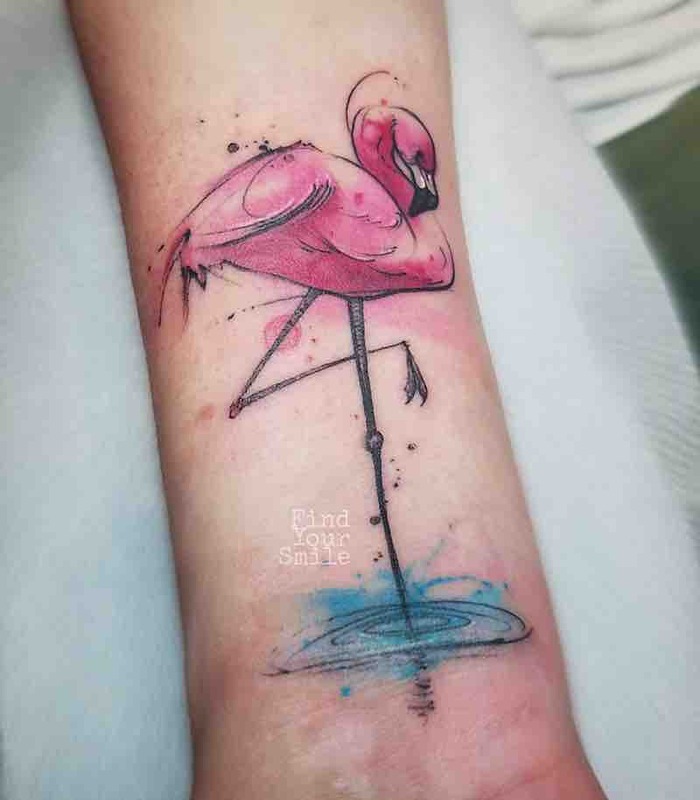 Flamingo’s look very familiar to people from seeing them depicted in so many places although for most people they have never seen an actual flamingo in real life but that doesn’t stop a huge amount of people being so fascinated by the very unique bird. 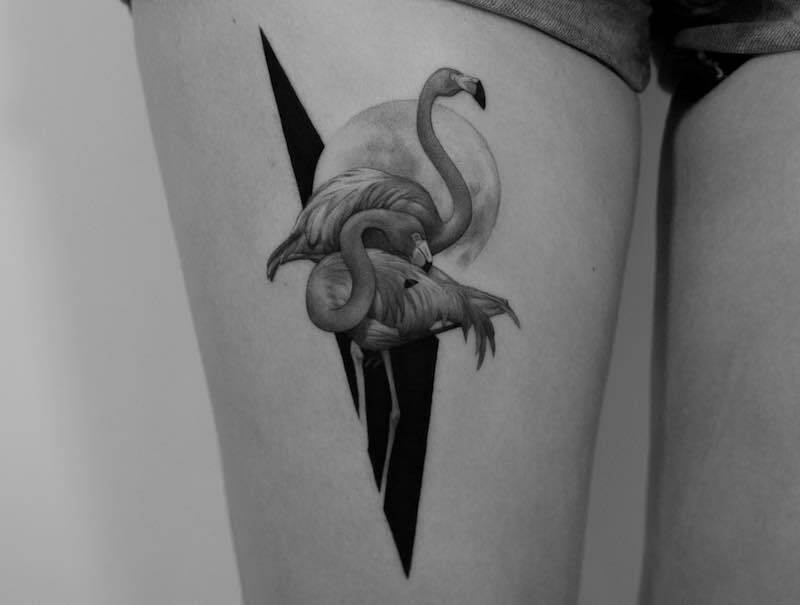 Flamingos are known for their dance skills when doing their mating dance, to impress possible partners flamingos will gather in their flock which can exceed 100s of members, and dance together. 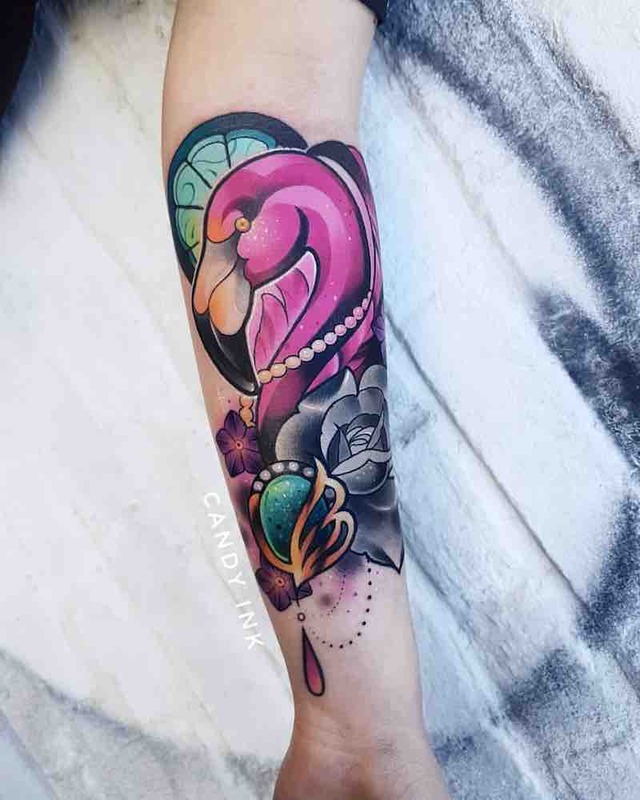 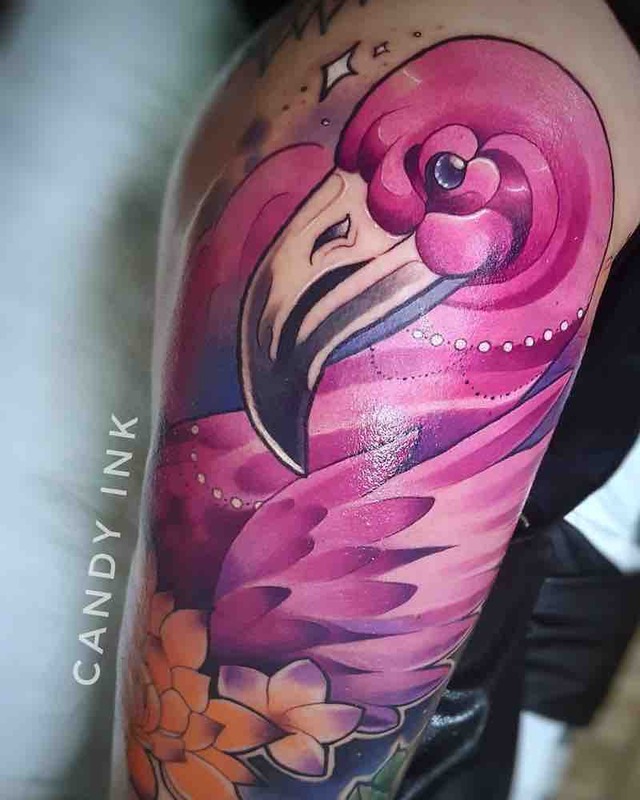 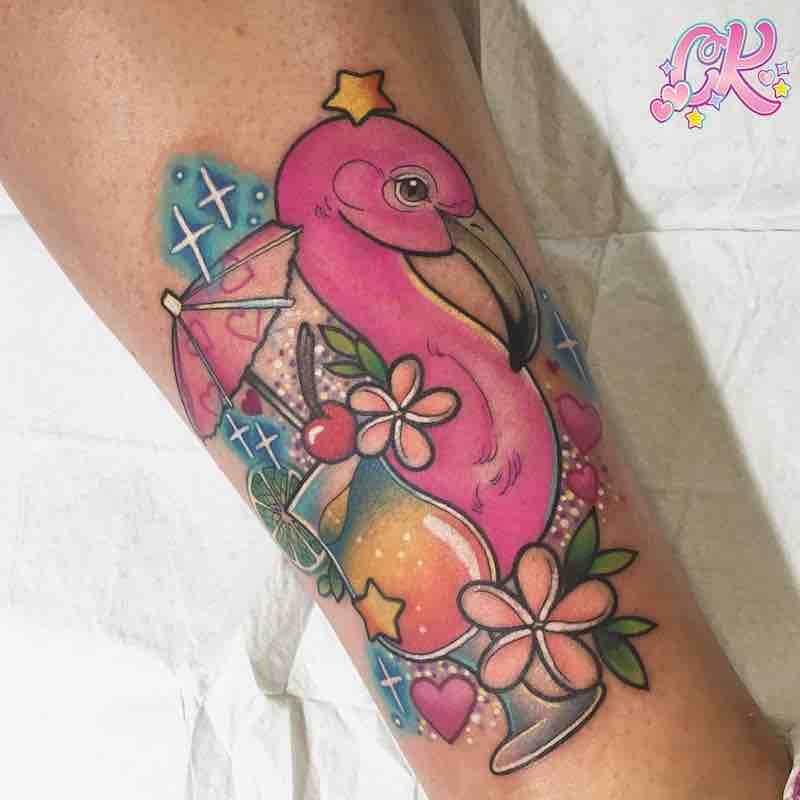 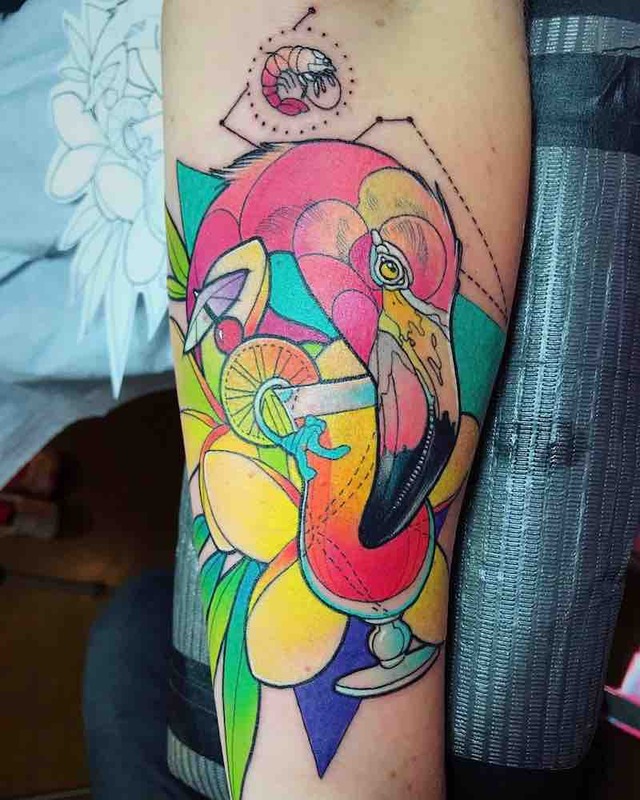 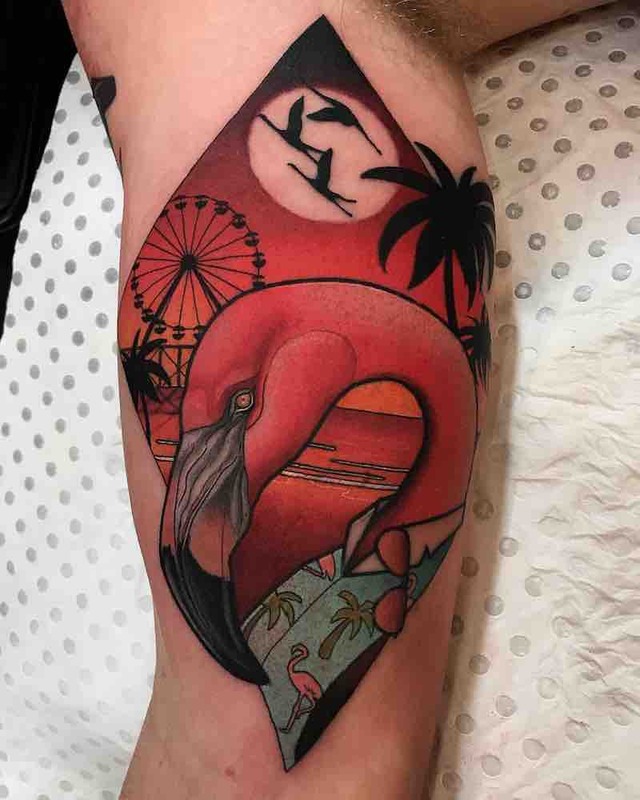 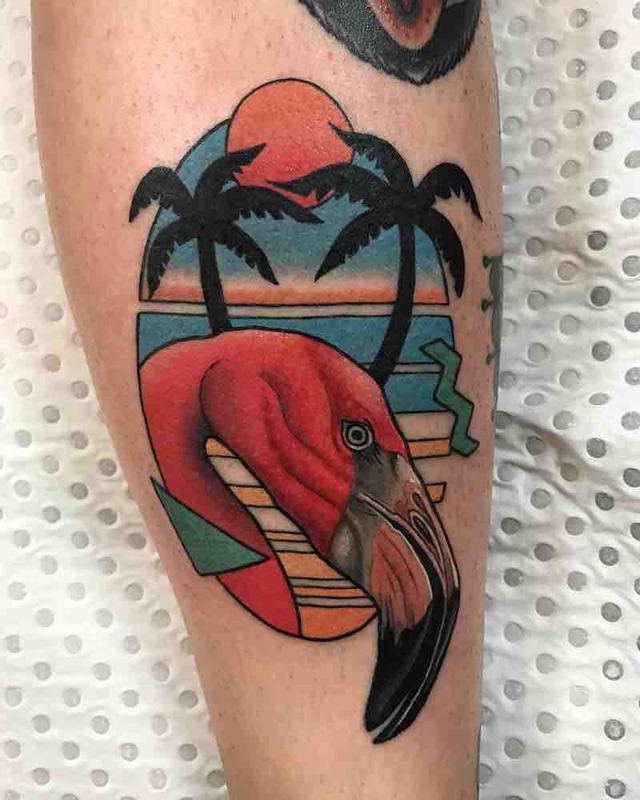 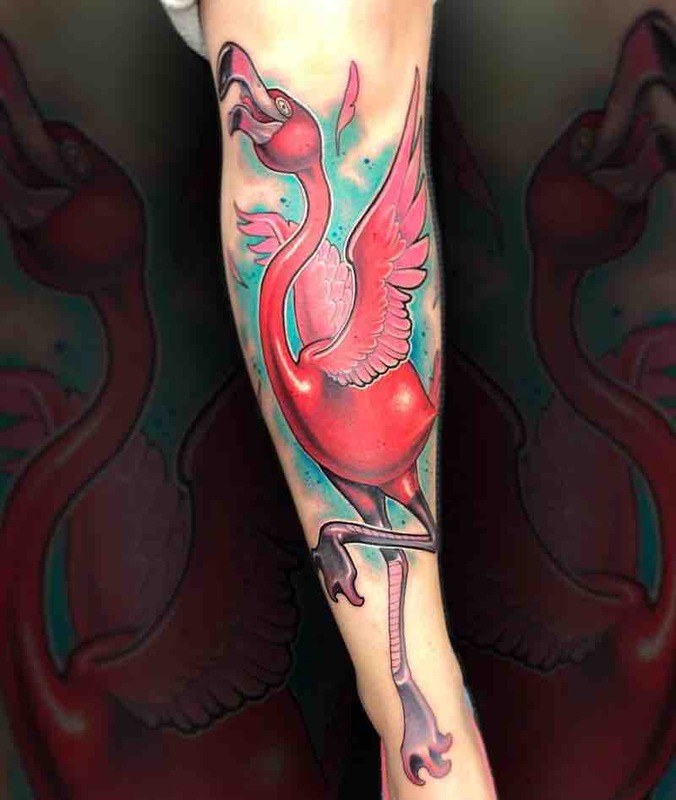 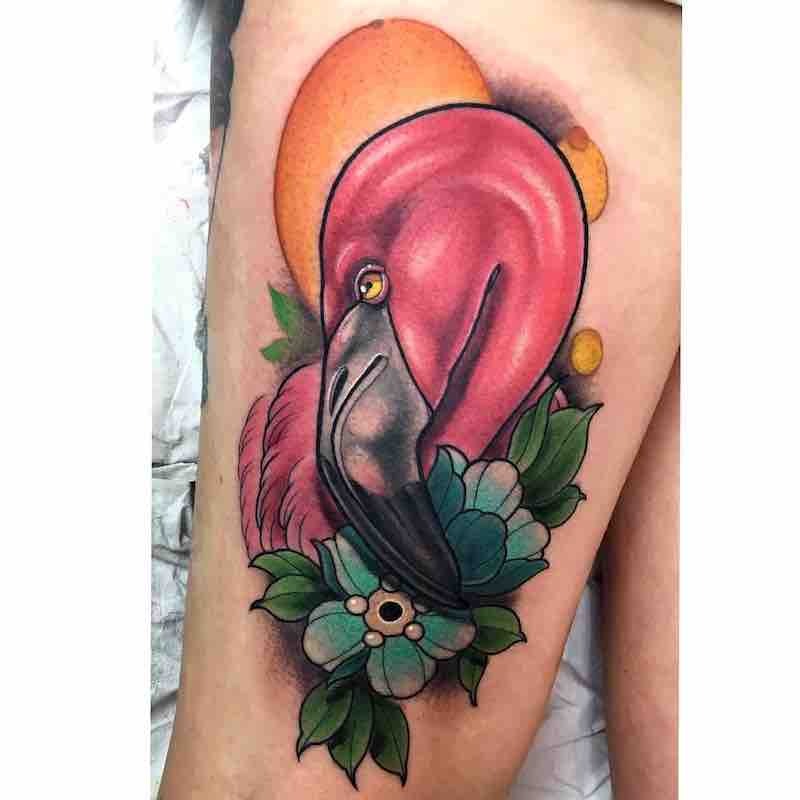 The most popular flamingo tattoos are done with bright bold colors to show off their natural vibrant colors and very unique pink they are so well known for. 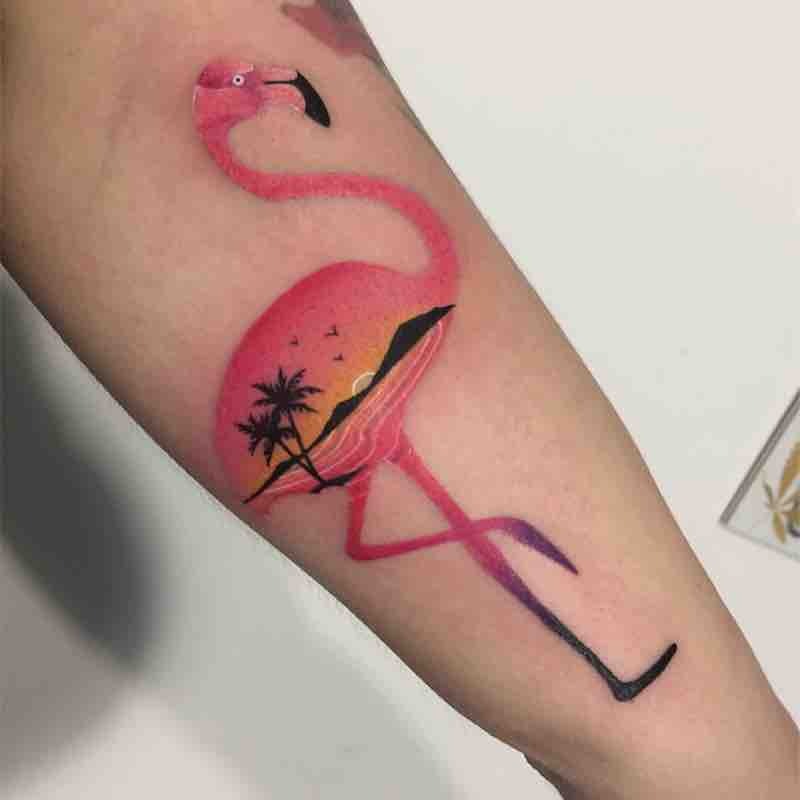 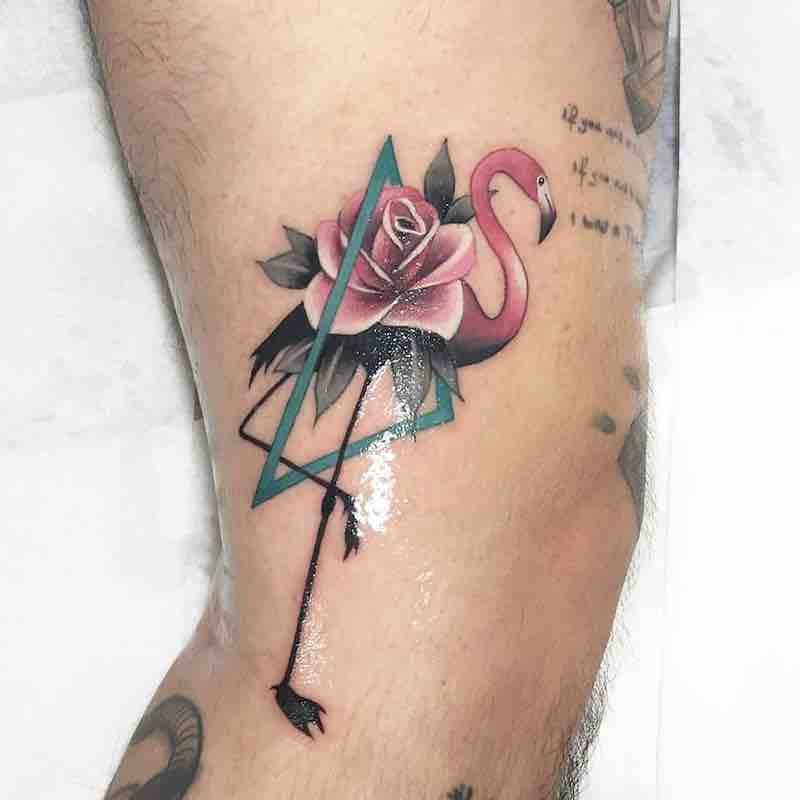 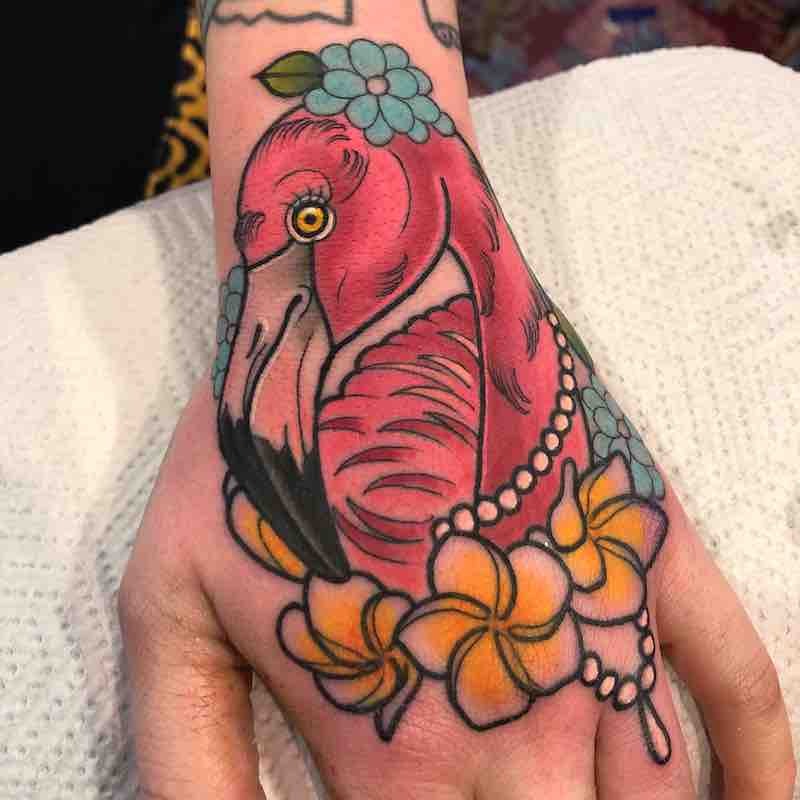 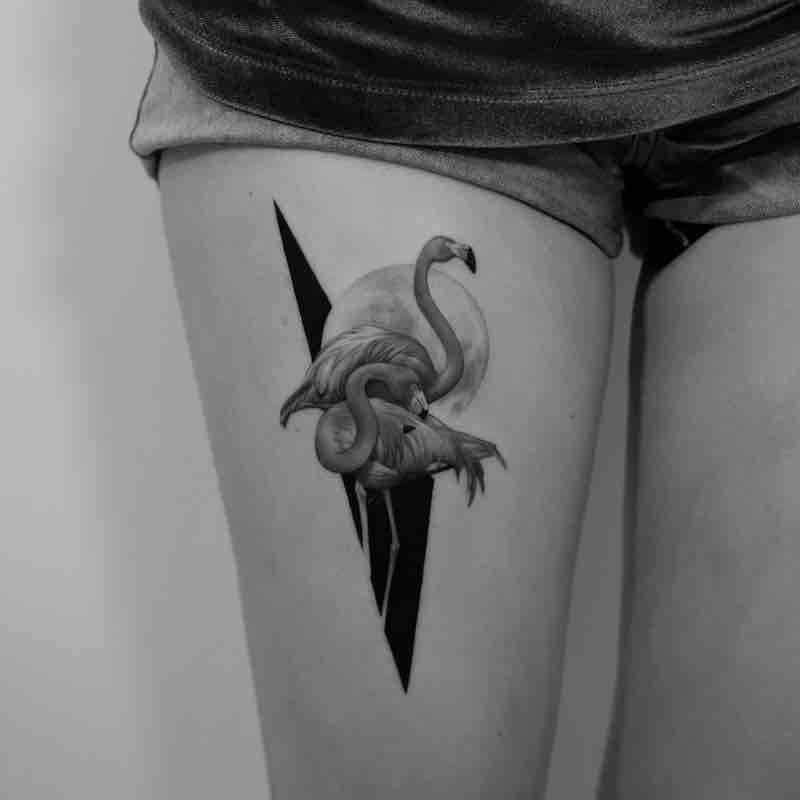 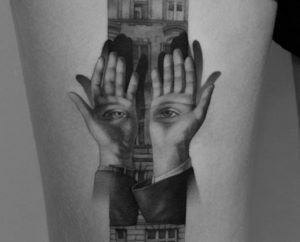 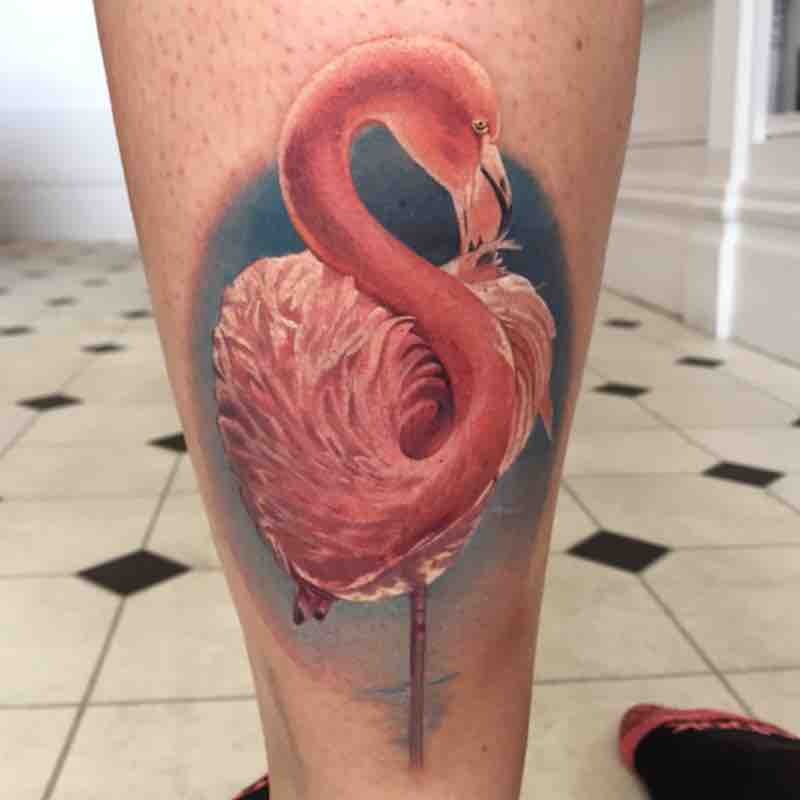 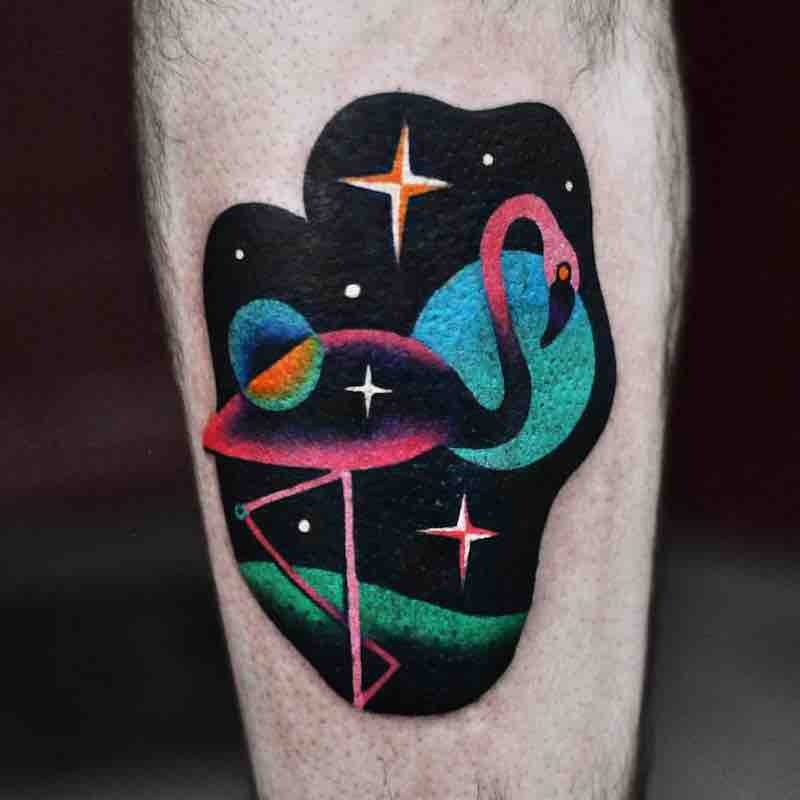 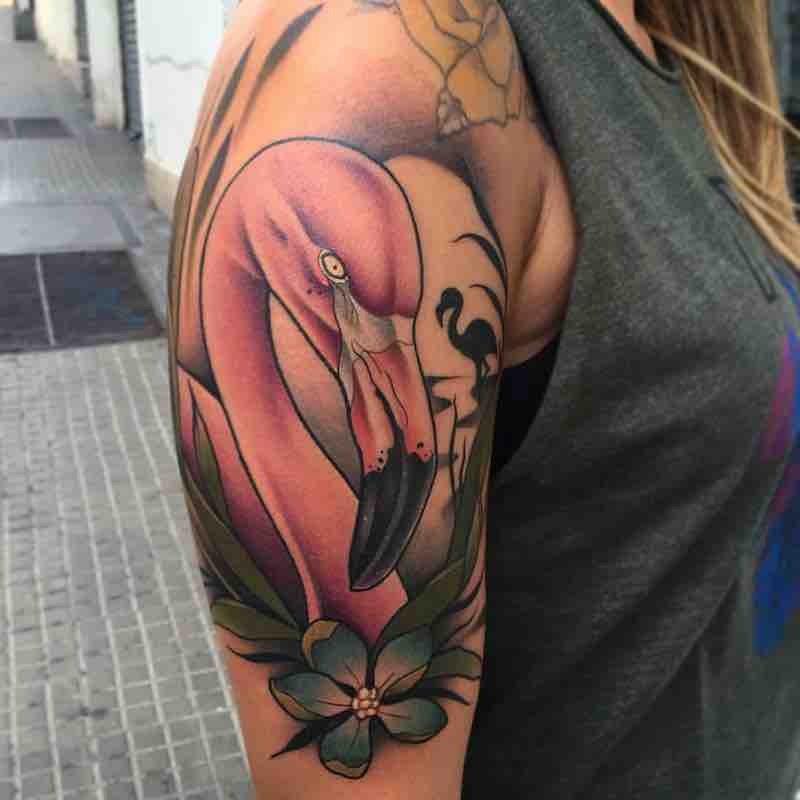 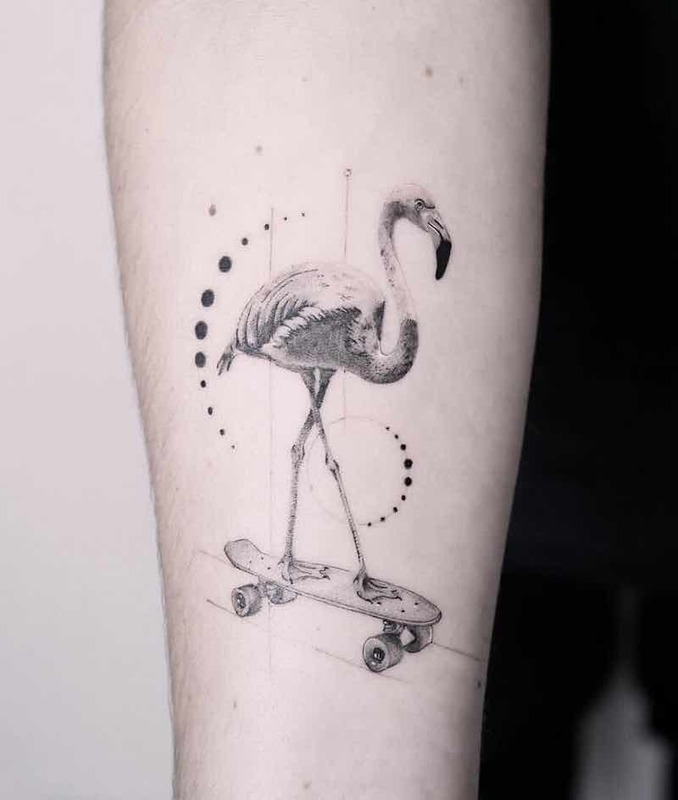 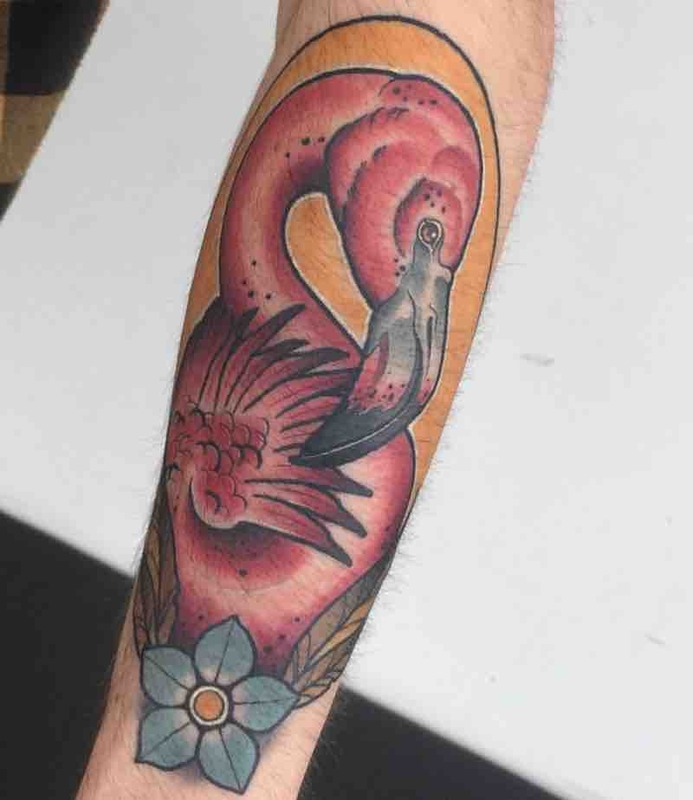 While the color pink can make a flamingo tattoo great it isn’t the only way to end up with a perfect flamingo tattoo, their silhouette alone can be instantly recognizable and makes for a good tattoo in any size. 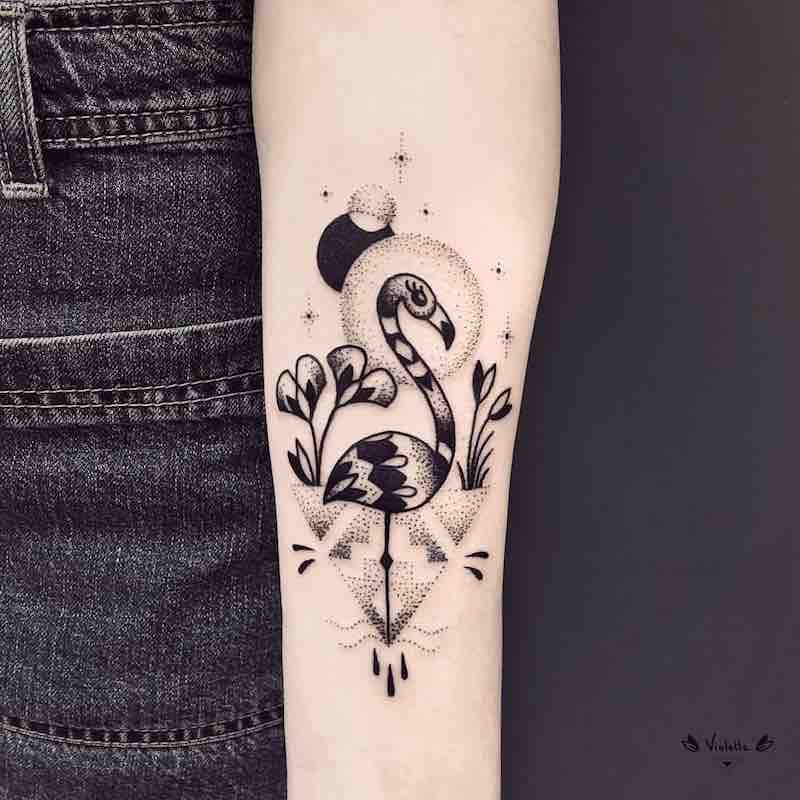 Flamingos are well associated with beauty from their aesthetically pleasing features and colors, artists have been using the figure of a flamingo as a symbol of beauty for a very long time. 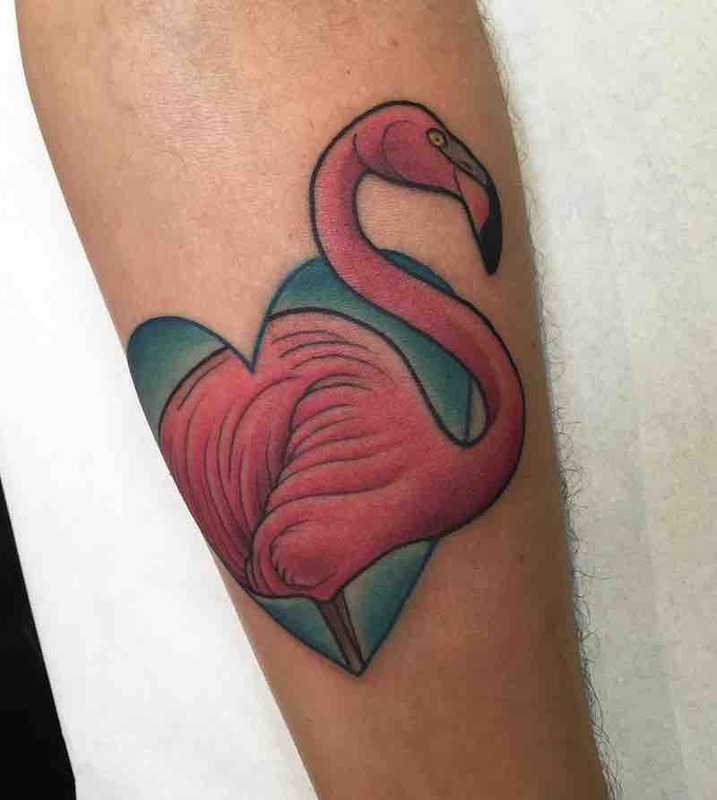 The flamingo’s familiar pink to many represents femininity and has been used in countless ways to express love most commonly seen on valentines day, the imagery of flamingos can be seen everywhere.